← A Win in Wausaukee! A Partnership Proposal – MMSD Administration Budget and Referendum Recomendations: Can’t We Do More? Some clarifications on this report. Marjorie Passman is incorrectly identified as Lucy Mathiak. The “list of potential cuts” mentioned is very, very, very initial. It is a first effort to identify general areas that may be discussed for cuts. I heard more than one Board member grumble about what was in the list. Board President Arlene Silviera has promised to schedule a discussion of this list and potential cuts in general at a future date. I suggest all hold off on critiquing or complaining till that discussion takes place. We all know that $6 million to $8 million in cuts would be painful. For now, let’s just use our imagination as to where this pain would be experienced. Some clarifications on this report. First the use of $2 million from the Fund Balance in the first year is based on an estimated $4 million growth in the Fund Balance as the 2007-08 year is closed out (more below). The “other” $2 million from the Community Services Fund (Fund 80) Fund Balance as part of the plan to minimize the tax impact, is actually a plan to decrease the Fund 80 levy by that in amount in 2009-10 and use excess money previously collected instead to fund on going Fund 80 programing. OK, TV out of the way, now newspapers (radio will wait for another day). Both Tamara Madsen in the Capital Times and Andy Hall in the Wisconsin State Journal do fine jobs covering the proposal in all its complexity and reporting on the meeting. Me, I like to go to the source. Executive Summary – Three Year Financial Forecast here; Budget Gap Background and Recommendations here and video here. We’re about two things here: one is ensuring that the needs of our kids are met to be educated well and the other is to be sensitive to taxpayers going forward. [W]e’re desperate and we need this passed and even if it is passed we’re not adding anything back. This sounds like a pretty fair deal. 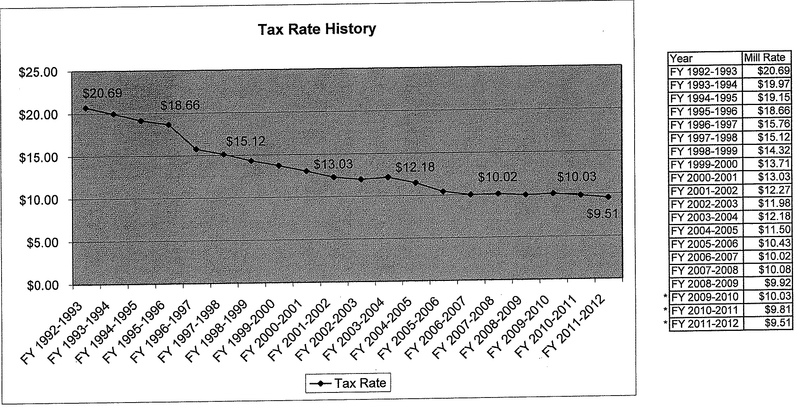 I think it would be a better deal for our community if we upped the “small increase in our revenue authority” a bit. I want to go through the details of the plan and my thoughts in three parts. First, what is (and is not) proposed for the referendum, then the ways that the costs to property taxpayers will be mitigated. Finally some words on why I think that the district should ask for more money in the first year. There will be some overlap. $5 Million year one (projected gap, $8.11 million). $4 million year two (projected gap, $4.37 million). $4 million year three (projected gap, $4.26 million). Recurring means that it is cumulative. The authority to exceed the revenue cap the second year will be $9 million and the third year and beyond $13 million. The advantages of a recurring referendum are two-fold: It allows for better long-term planning and it minimizes the gap and probable cuts to meet that gap in subsequent years. The disadvantage is that recurring referenda are more easily demagogued. I’m not sure why this is so, except that the words “Permanent Tax Increase” carry some emotional weight. Of course the same people who use this appeal complain about the lack of long-range planning. Consistency is rarely the strong suit of the complaining classes. What isn’t proposed is preserving everything the way it is now. There will be cuts or reorganizations or reallocations each of the three years. They won’t be huge, they probably won’t be too divisive, but they will happen each year. I value the fresh perspective and approaches Dan Nerad has brought. I am glad that there will be comprehensive strategic planning and that new ways of doing things will be implemented. I understand that this is being connected to asking for less than the gaps in the referendum and that is a legitimate connection. I don’t think asking for this much less than the gaps is for the best. I think that in order for our children to realize the full benefit of contributions of the new administration we should authorize resources at least equal to a cost-to-continue budget. I’m not advocating keeping things as they are; I’m advocating reforms without cuts. I’m advocating $6 million for the first year (because of the recurring formulation, this also funds the subsequent years). This money can be used to do things like restore Ready-Set-Goals, revitalize the equity work of the district, expand funding of supplemental positions via something like the equity resource formula, fix some of the problems with class size and specials, initiate world languages in the early grades…and most importantly implement initiatives identified through the strategic planning process with less pressure to defund existing programs. I think that as a community we can afford this. That brings me to the tax impact parts of the plan. As presented by Dan Nerad and Erik Kass, the tax impact mitigation plans have little directly to do with the referendum itself. It is likely that most of these would be implemented even if there was no referendum. However, they are indirectly related in two ways. First, they are a demonstration of the partnership principles that Supt. Nerad has articulated; second, in very real ways they make a referendum more affordable to the local taxpayers. I want to start this part of my consideration with a some charts from the administration’s presentation. Mill Rate History and Projections With A Referendum, Other Administrative Proposals and Renewal of Maintenance Referendum. The first chart is the status quo. If there is no referendum and nothing else changes mill rates (taxes per $1,000 of property value) will resume their significant downward trend. With the exception of a very slight up-tick in 2007-8, the school mill rate has fallen steadily since 1992-3. For 2008-9, it is less than one half of what it was in 1992-3! If there is a referendum and the proposed changes are enacted, the downward trend will also continue with the exception of another slight up-tick for 2009-10 (charts 2 and 3). The calculations I’ve seen say that for $250,000 home taxes will drop about $27.50 from the current rate in the second year and about $100.00 in the third. This will be accomplished in four ways. First, by not seeking revenues to the amount of the projected gaps. Second, by slowing the rate of growth of the operating Fund Balance (Fund 10) and using some of the Community Service (Fund 80) Fund Balance to lower that levy without cutting programs. Third by moving money to a Capital Expansion Fund (Fund 41) which shifts the responsibility for some revenue from local taxpayers to the state (I’ll offer a more complete explanation at a later date). All of these are fiscally sound practices. The last piece is a conservative projection of 4% annual growth in the total value of property in the district. I fully support all of these ideas for mitigating the tax impact, including not seeking the full gap amount. Where I differ is that I think we should seek closer to the gap and ask for $6 million in the first year. Our schools and our children are worth it. The highest of these puts about where we were in 1999, when the revenue caps had been wrecking their damage for four years. By year three, mill rates would be back at 2005 levels. I haven’t had a chance to project the tax impact on a $250,000 home for all three years (too many variables), but my initial calculation is that in the first “worst” year it would be $36.30, or about $9.00 more than what the administration proposed. For something as important as education, I think we can afford that much. I want to leave numbers aside and talk about three things that I observed and heard today while registering my son for first grade. They are minor and they are indicative of what happens when we neglect our schools, or try to do things on the cheap. On the entrance to the playground there is a ramp with concrete walls on either side. On one side the wall has crumbled and rebar is sticking out. The rebar is covered by empty plastic soda bottles taped on. While on the playground, I spoke with the custodian. We talked about lots of things. My spouse asked if wood chips had been ordered (they are badly needed). He said they had, but the amount sent in the last few years has not been sufficient for all the surfaces that need covering. We also spoke about snow removal. Apparently due to budget cuts, there are no longer removal crews assigned to specific schools (in all cases). Each snowfall brings different crews. Before this was the case, there was good communication about the particular characteristics of this school site and the crew knew where to plow and where not to, where to pile snow and where not to. Now it is random and the school custodians spend time each snowfall taking care of what was not done correctly. A crumbling wall with dangerous metal protruding, a short load of wood chips and not staffing consistently aren’t huge things. Still they are things we should be able to afford to do right. I know we can’t afford them or many other things. I know we still have some Windows 98 computers in our schools. What does this say about us that we haven’t cared enough to demand that this situation be fixed? What does it say about us that our school officials think that in order to get us to pass a referendum they need promise further cuts? I’m not sure that the referendum as proposed will change any of this. It may help with some of these. It will keep things from getting (much) worse and that is very important. I truly believe that quality public education is what creates and preserves prosperous and enjoyable communities; that public schools are the best tool we have for creating opportunities and overcoming inequality; that if we want the next generations to live in a better world our schools are the best tool we have for making that happen. (If this passes) There won’t be another operating referendum for some time (maybe never if the state finance system gets fixed). Let’s do it right this time. One more million in the first year and loads of possibilities open up. We can dream a little again. Wouldn’t that be great? I’ll be working hard in support of a referendum as proposed by the administration (find out how to help by visiting Community and Schools Together), but I’d have a bigger smile on my face as I worked if the Board and the administration would askfor some more opportunities to dream. Share your thoughts in the comments here and let the Board know what you think. Come to the Board meeting Monday, August 25 (last I heard, there will be public testimony) or write: comments@madison.k12.wi.us.